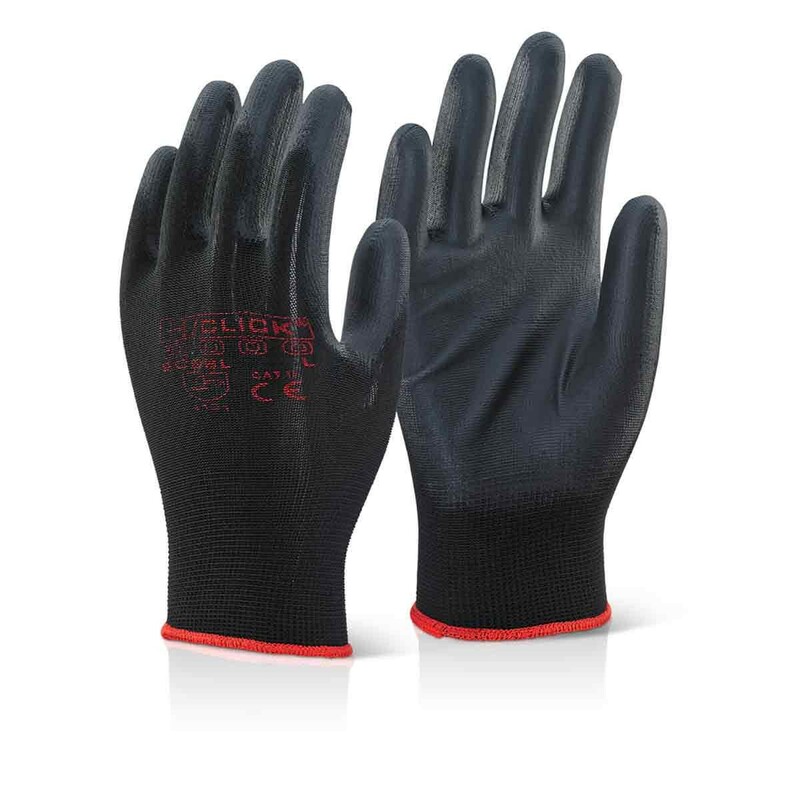 The Click PU Coated Glove Black is constructed from polyester with a polyurethane coated palm. It is machine knitted and has an integral elasticated wrist. EN388 Cat II 4121. Works well with abrasion. Not suitable for jobs requiring cut or puncture resistance. Offers grip while maintaining good feel.